In order to qualify as a MCSA: Cloud Platform Microsoft Certified Solutions Associate you must pass two exams. We have selected this and the Implementing Microsoft Azure Infrastructure Solutions course as the two best options. This course is for Exam 70-532 – Developing Microsoft Azure Solutions. This certification demonstrates your expertise in Microsoft cloud-related technologies to reduce IT costs and deliver more value for the modern business. Earning an MCSA: Cloud Platform provides the foundation for a position as a cloud administrator or architect and is the first step on your path to becoming a Microsoft Certified Solutions Expert (MCSE). Exam updates made in Jan 2018 are included in the course. Is a Red Hat Systems Engineer and Linux consultant. Kaylan is the Linux team team lead in a fortune 500 company. 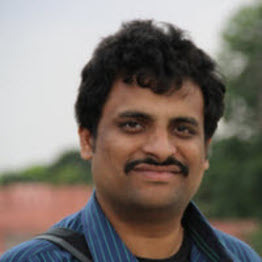 He works in production support on different flavours of unix such as RedHat Linux, Solaris and IBM AIX. His role involves supporting and training on different flavours of unix and installing, configuration and fixing issues on all types of servers. He also holds an MBA.